If you think we’ve come a long way in our evolution from ape to homo-sapien, think about how far Algae, the main ingredient in ActiSea, has come! ActiSea is an extract we offer that can be added to any of your Private Label Personal Care products. It contains a proprietary blend of Algae, Japanese Green Tea and literally millions of years of evolutionary intelligence! 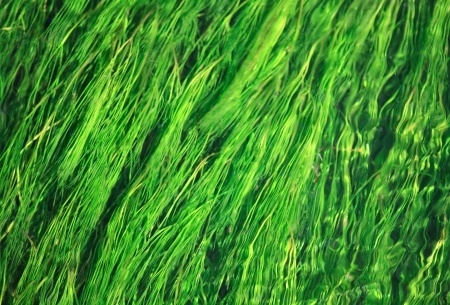 Most people see algae as ordinary plant matter. Slimy, green, photosynthesizing life that sometimes covers entire bodies of water in unicellular mass or, at other times, manifests as giant kelp vines ranging over 50 feet in length. Such diversity of form is unmistakably impressive! But Algae is even more wild and advanced than that – it isn’t even a plant! Algae species are green, photosynthetic beings, but they lack the various structures that characterize plants - such as leaves, roots, and other organs. What does this mean? It means that Algae has taken it’s own, unique evolutionary tactic and therefore has something very special and singular to offer us! Algae’s fortitude and dauntlessness in the ever-changing, planetary ecosphere has made it an incredible living entity and…a great beauty agent! Algae is an impressive anti-aging additive. Aging occurs, in part, as a result of cells reproducing with mistakes in the DNA. Surviving this long on the planet means that algae has developed the mechanisms to reproduce with DNA with accuracy, sophistication and elegance. When used as an additive in a skin or hair product, it means that cells in the epidermis or hair follicle will reproduce with integrity, thereby slowing and reversing aging! Algae is also brimming with potent nutrients such as Iron, Zinc, Magnesium, Copper, Silicon, Vitamin A, Omega 3’s and Amino Acids. These nutrients strengthen and condition skin and hair protein, and feed cells vital nourishment so that they glow. Hair becomes shiny, thick and resilient. Skin becomes tight, toned and luminous! All because of evolutionary know-how! We love the ActiSea formula. It’s not only lab tested, it’s time tested, wind tested, sun tested, volcanic ash tested, dinosaur tested…you get the idea! The beauty results are so real that you’ll want to add this to your next formula, or even produce a whole line of ActiSea infused products. RainShadow Labs is proud to offer the highest in natural, optimum grade skin care products and essential oils. Learn more about us and our premium products HERE.